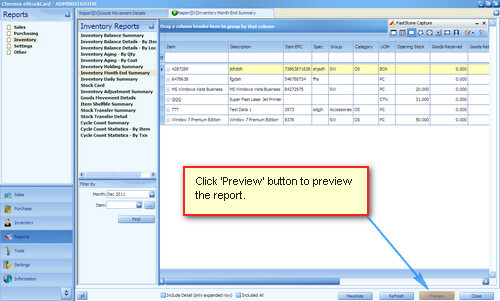 At the report, just click on the Preview button ( Fig 1 ). 1) To print, just click on the Print button ( Fig 2). 2) To email it, just click on the mail button ( Fig 3 ). 3) To export into the pdf, html, mhf, rtf,excel, csv, text and image file, please click on the Export button ( Fig 4 ).